You may have heard Single Touch Payroll is here – and it’s here to stay. All employers will be required to comply with the new Single Touch Payroll rules to complete their payroll obligations as of 1 July, 2019. To find out what Single Touch Payroll means for accountants, bookkeepers and Australian small businesses, we sat down with bookkeeper, Diane Lucas and accountant, Kane Munro. Single Touch Payroll is the biggest change to an employer’s reporting obligations since GST. Employers will be required to report their employee’s pay and superannuation information every time they run their payroll. Kane: It’ll also mean that businesses have a much better picture of their short to mid-term obligations required by the ATO for their employees. Who will it impact the most? Diane: STP reporting will especially impact businesses who are not yet using any digital platforms for their payroll or accounting. But by stepping up and embracing the digital age, business owners can use STP as an opportunity to streamline their processes and reporting. What challenges or opportunities do you expect from this change? Kane: The challenge for small businesses and their advisors will be ensuring they have the right software in place, prior to 1 July 2019. It’s also a great opportunity for businesses to move to a real-time based system so they can have access to more up-to-date financial data. How do you see this change effecting your own business? Diane: As bookkeepers and BAS agents, we complete many payroll runs for our clients. Our aim will be to begin to transition these businesses across to STP. With a July 1 commencement date, there is no need to wait until that date before getting started. 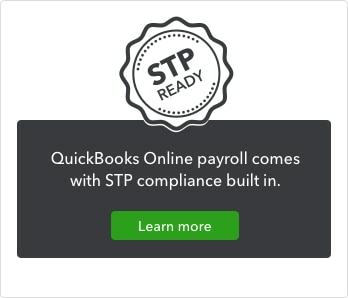 As we use predominantly QuickBooks Online integrated Payroll, powered by KeyPay in our business, STP setup and reporting is already available. What advice do you have for fellow accountants? The most important thing for an accountant to do is to make sure they are aware of the STP regime, so they can proactively communicate what this means to their client base. Knowledge of STP will ensure accountants can answer the inevitable client questions that will materialise as we move closer to July 1. Don’t be scared of STP. It’s another opportunity for you to interact and engage with your clients. Diane and Kane will be continuing the Single Touch Payroll discussion at this year’s Accounting Business Expo (ABE). Held on March 20-21 at the ICC Sydney Exhibition Centre, the expo will bring together thousands of professionals with over 160 informative sessions. Find out more about Single Touch Payroll and what it means for you and your clients at ABE. Get your free ticket today.